An off season month, November spells lower prices, fewer crowds and excellent weather conditions to explore Cape Town, South Africa. A coastal city in South Africa, Cape Town is located on the shore of Table Bay, and nestled at the foot of Table Mountain. It is home to about 3.75 million people and often called the “Mother City”, as it is the oldest city in South Africa with a cultural heritage spanning more than 300 years. Cape Town is one of the most popular destinations in South Africa, as well as the entire continent of Africa. It is blessed with a good climate, a fantastic natural setting, and well-developed infrastructure. Its unique geography favors tourists who can visit multiple beaches with different atmospheres and settings in just one day! Its attractions include the Table Mountain National Park, Robben Island, The Heart of Cape Town Museum, District Six Museum, Langa Township, Victoria & Alfred Waterfront, and a number of beaches. 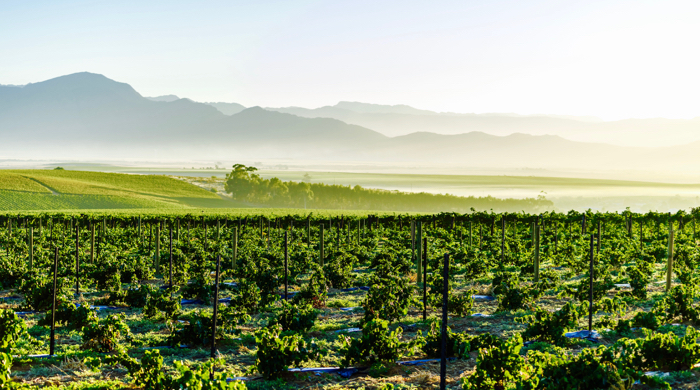 If you are a wine connoisseur, the Cape Town wine route will take you to the best wineries and vineyards in the city. Although the month of November is the last month of the wet and rainy season in Barbados, you can still enjoy 8 hours of sunshine daily. In fact, November is the perfect time to enjoy Barbados before the peak season starts in December. Often referred to as “Little England”, Barbados is a small sovereign island country located in the Lesser Antilles, and is one of the “sovereign states” that comprises the Commonwealth realm. Why travel to Barbados in November? Barbados boasts many fantastic beaches which must be enjoyed at least once in a lifetime. And as one of the top tourist destinations in the Caribbean, you can also expect to enjoy a vibrant nightlife, too. Aside from its fantastic beaches, its attractions include the Flower Forest, George Washington House, Mount Gay Visitor Centre, South Coast Boardwalk, St. Nicholas Abbey, Harrison’s Cave, Animal Flower Cave, and Hunte’s Garden. The best thing about traveling to Barbados is that it has a wide range of accommodations which can suit anyone’s budget. Although Chiang Mai does not have any of the amazing beaches Thailand is known for, it is the ultimate travel destination for foodies, adventureres and history buffs. Nestled in one of the highest mountains in Thailand, Chiang Mai is often called the “Rose of the North”, welcoming more than 5 million visitors annually. The city offers a glimpse of its rich history through its restored late 18th-century walls, more than 300 Buddhist temples (!!! ), and the customs and traditions of its inhabitants. It is not surprising that in 2014, Chiang Mai was included in the list of “25 Best Destinations in the World” of TripAdvisor. If you love to cook and eat, Chiang Mai has more than 60 cooking schools where you can learn how to whip famous Thai dishes such as Siam Rice, Tom Yum, Pad Thai, Green Curry Chicken, Kuay Tiew, and Thai Spring Rolls. Its attractions include temples or wats, parks, museums, natural wonders, spas, and markets. You can also experience a number of adventures including 4WD ATV & off-road tours, ziplining, river rafting and tubing, rock climbing, ziplining, and trekking. Why visit in November? It is a month with great weather; warm days and cool nights. One of the best times to visit notoriously hot Dubai is in November. There is very little rainfall, and humidity is low. The capital city of the United Arab Emirates, Dubai is known for its skyscrapers, high-rise buildings and man-made wonders. It is home to about 2.5 million people, most of them expats from other parts of the world working in various industries. Dubai is a Muslim country and when visiting, you must adhere to the local laws, customs and traditions, although it is much more liberal compared to other Muslims countries like Saudi Arabia. Its attractions include the 7 star hotel Burj Al Arab, Dubai Desert Conservation Reserve, Dubai Creek, Ski Dubai, Gurunanak Darbar Sikh Temple, Dolphin Bay, Aquaventure Waterpark, Dubai Marina Yacht Club, Mall of the Emirates, and Burj Khalifa, the tallest structure in the world, standing at 2,722 ft.